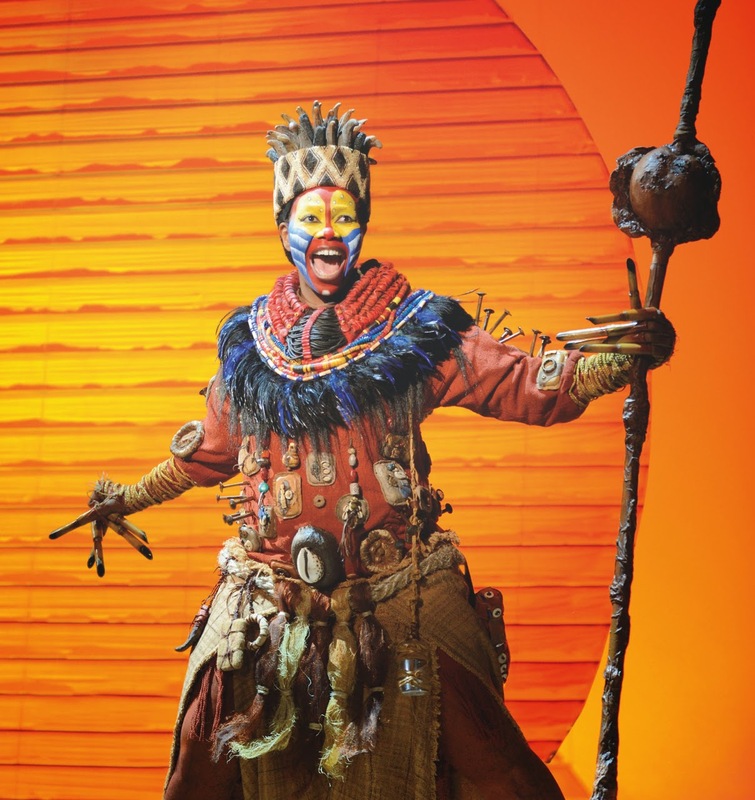 The Lion King - The Musical a theatrical production that will take your breath away within the first few minutes with striking costumes, props and use of stage that wow. The Lion King - The Musical will give off a 3D movie type feel as the show is very immerse as actors spread through the audience seating isles whilst also being on stage. Creating a surrounding that makes you feel like you were back in time there; at Pride Rock with your favorite Disney movie characters. All the animals from Pride Rock were simply beautiful, such delicate eye catching costumes. The mental photos I snapped in my mind from the production still linger with such imprint of impeccable designs. 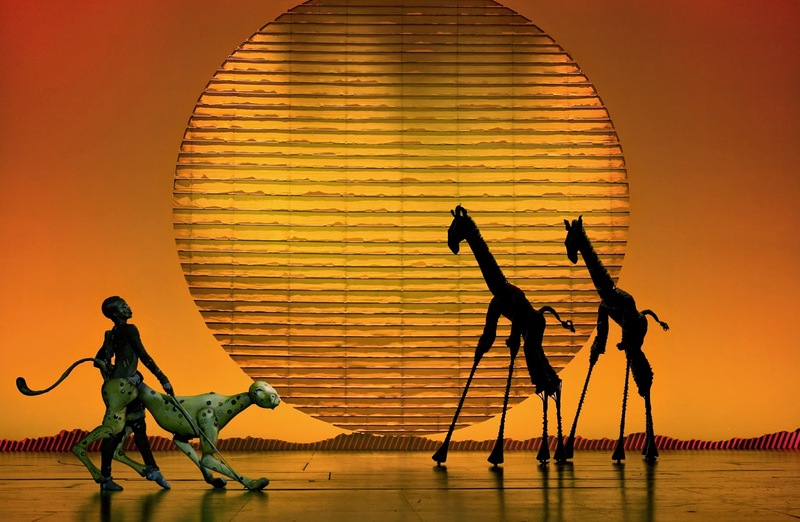 The costumes for such actors like the gazelles, birds etc where their was one actor who came out in several of the animals was just phenomenal - the movement that they captured when the animals were all coming together for the reveal of baby Simba was something. It amazed me and puzzled me at times with how on earth the actors were moving around in such positions to move their stage animal. One that kept catching my eye was the cheetah - the accuracy and float presence of something so delicate and well presented was shown here through the cheetah. The show followed along nicely with the movie with minimal differences from the story line. A few new songs were featured that aren't in the movie, so it will take you by surprise when there is something new added in that you can't recall and sing along with knowing word for word like the famous The Lion King songs that would always run through your head on repeat as a kid. With funny personalized quotes relating to the Melbourne living areas for example with Zazu telling Scar to not send him back to Frankston and the extra little commentary parts the show brought many fits of laughter. A colorful production that was well put together and would be a high recommendation on my list for EVERYONE of all ages to see. A production that is not to be missed and I would label the most incredible yet. All music for the production was played live right in front of your eyes with two musicians on opposing sides of the theater in the over hanging balconies and another larger team of musicians in the orchestral pit at the front of the stage bringing you the favorite and well known melodies to sing along too. The stage was filled with astounding props and costumes that I could only guess would have taken a long time to make and had a lot of money put into the making of the show. 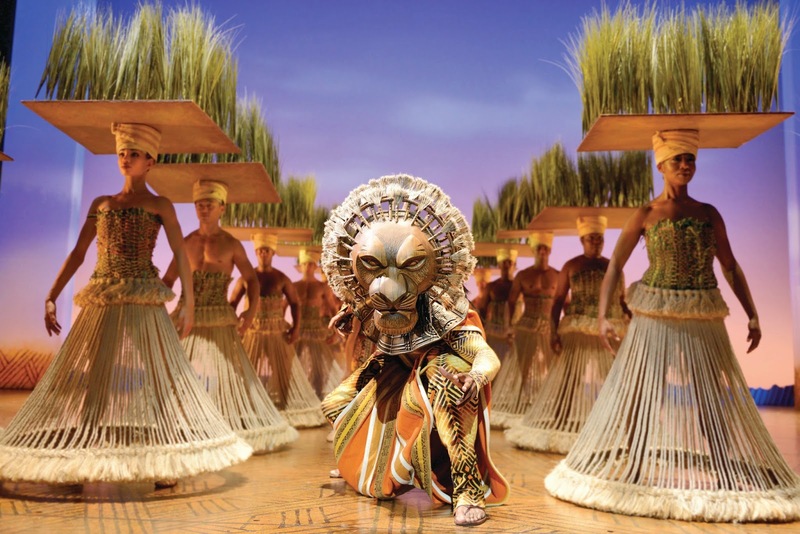 The Lion King - The Musical would hands down be the best theater performance I have ever seen costume wise. It's really something to see and you will leave having your mind blown just like I did. This sounds fab! I have never seen it live on stage before.